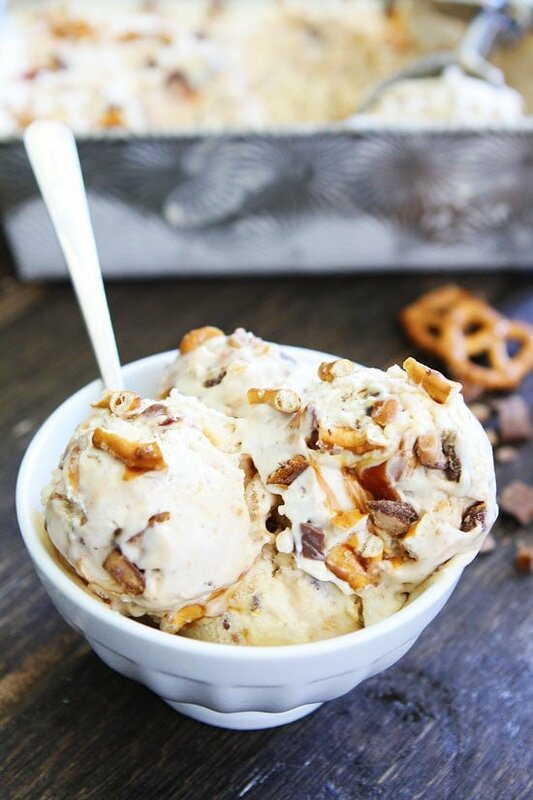 No Churn Salted Caramel Toffee Pretzel Ice Cream-vanilla ice cream with salted caramel, toffee, and pretzel pieces. 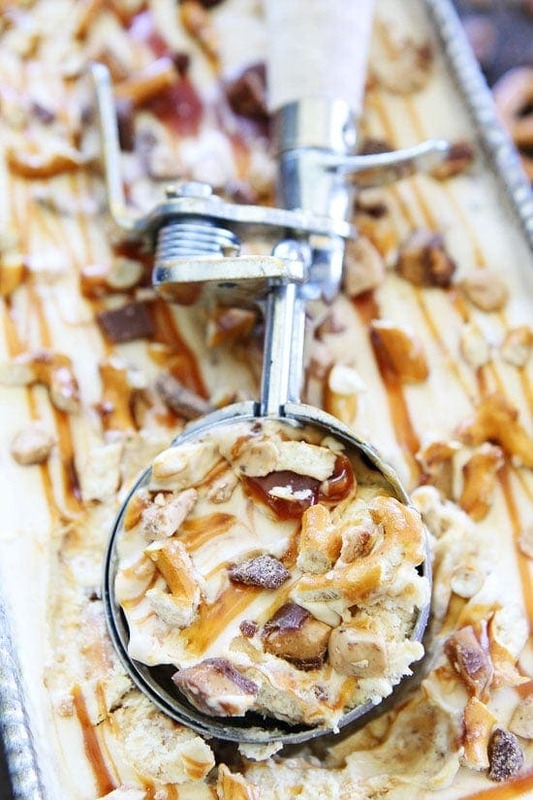 Everyone will be screaming for a scoop of this easy no churn ice cream! When I was growing up, our freezer was always stocked with ice cream. It was our go to dessert, especially during the hot summer months. My dad always scooped up ice cream for me and my siblings before we went to bed. I think it was his secretive way to get us excited for bedtime:) It worked, because I was always the first in line for my bowl of ice cream. I am continuing my dad’s tradition by keeping our freezer stocked with ice cream so we can eat ice cream every night. 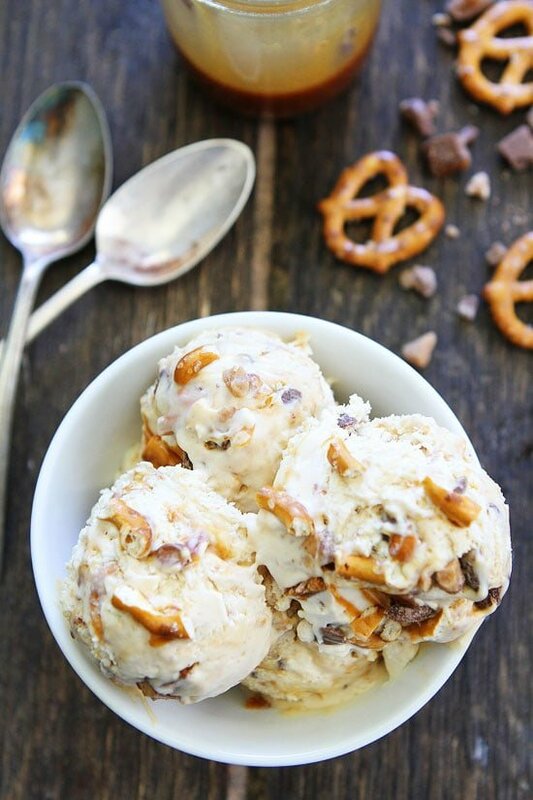 We are currently enjoying this No Churn Salted Caramel Toffee Pretzel Ice Cream. It is easy to make and has all of my favorites! I’ve become obsessed with no churn ice cream. It all started with my No Churn Cinnamon Snickerdoodle Ice Cream. It was so good I HAD to try other flavors. 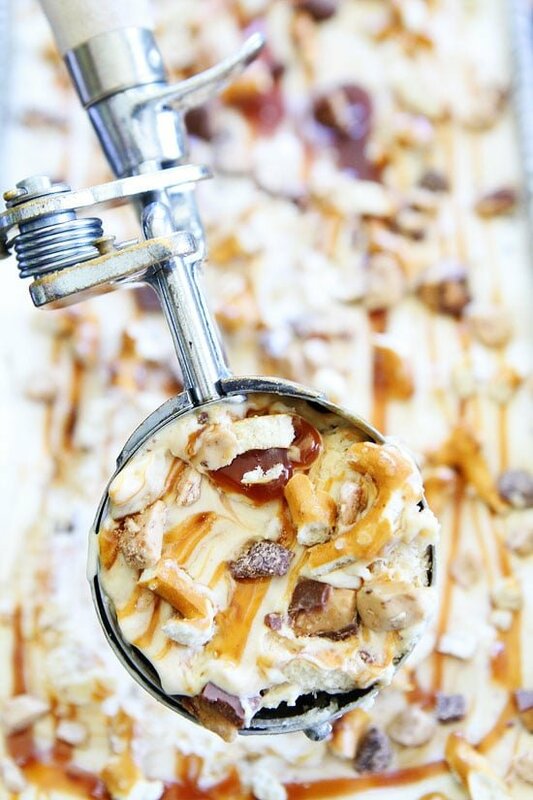 Now, I am loving this easy No Churn Salted Caramel Toffee Pretzel Ice Cream. You will never know this ice cream is made without an ice cream maker. It is SO creamy! This no churn business is the real deal! I love ice cream flavors that have substance, the more mix-ins the better, and this ice cream is loaded! Every spoonful is a real treat! And the sweet and salty combo is on point! The ice cream has a salty kick from the salted caramel sauce and the pretzels and the rest is sweeeeeeeeeet! 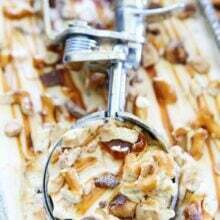 Join our family tradition and enjoy a scoop of No Churn Salted Caramel Toffee Pretzel Ice Cream tonight! 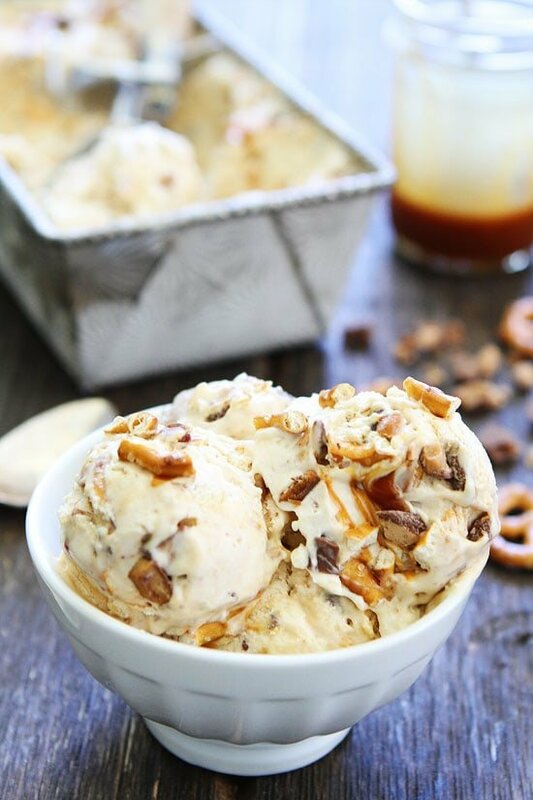 Easy no churn vanilla ice cream with salted caramel, toffee, and pretzel pieces! This ice cream is a must make for summertime! In a medium bowl, stir together sweetened condensed milk, 1/4 cup of the salted caramel sauce, and vanilla extract. Set aside. In the bowl of a stand mixer, using the whisk attachment, beat cream on high until stiff peaks form, about 3 minutes. With a rubber spatula, gently fold whipped cream into the sweetened condensed milk mixture. Stir in pretzels pieces and chopped Heath candy bars. Pour ice cream mixture into a loaf pan or container. With a knife, swirl the remaining salted caramel sauce into the ice cream. 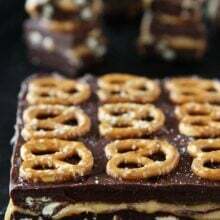 Smooth with a spatula and sprinkle additional pretzel pieces and candy bar pieces over the top, if using. Cover with plastic wrap and freeze until firm, about 6 hours. When ready to serve, remove from freezer and scoop! Note-I like to use my homemade salted caramel sauce. Will keep covered in the freezer for 3-4 weeks. Yummy! Looks so good! I like ben&jerrys caramel ice cream, I think I would love this one even more! How have I never tried a “no churn” ice cream before?!? I’m always a little turned off about ice cream recipes because I don’t own an ice cream machine. 🙁 What a great idea–my boys are in for a treat! Thanks! I love everything about this!!! The salty sweet combo is always always a favorite of mine!!! I’m with you, no-churn is where it’s at! Love this flavor! 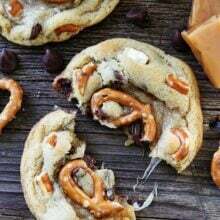 Obsessed with those salted caramel swirls and that sweet and salty flavor! Pinned! You had me at salted caramel!!! I love salted caramel ice cream. I also love the idea of making no churn ice creams at home. This is brilliant. This does sound very yummy….but what is the calorie count per serving?? oh wow! this looks phenomenal! Our freezer is always stocked with ice cream, too! It’s everyone’s favorite dessert, especially in the summer. And the no churn ice creams have been my latest obsession, too – so easy! This looks ridiculously good, Maria – definitely need to make this. I grew up with ice cream always in the house, too. It was a daily ritual – and Ben and I sitll do it to this day. This looks positively sinful – and scrumptious to boot! This looks amazing! Love that sweet and slaty combo! 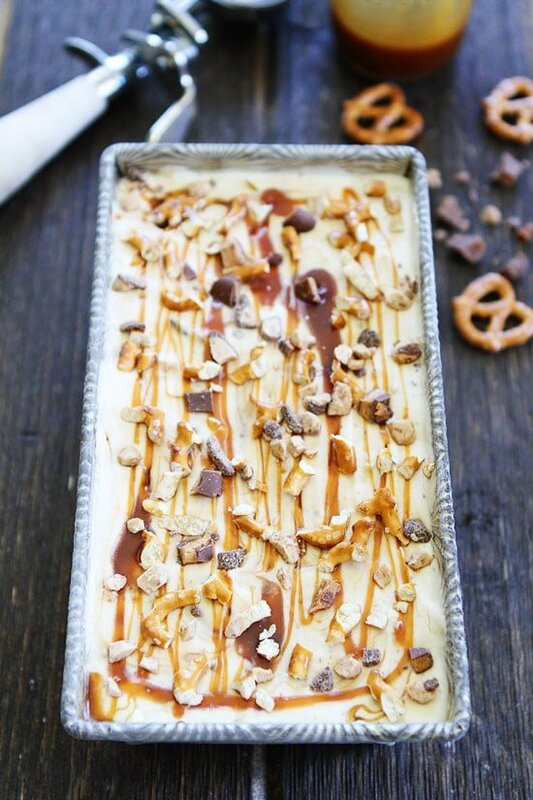 Okay okayyy, I need this for dessert ASAP…like tonight!! Yum! Everything about this ice cream is amazing! Love those big toffee chunks! This looks delish! I made your last no churn Snickerdoodle ice cream recipe and though it is delicious, 24 hours later, it is still not hard! Any ideas why that might be? I would love to try this one! Weird. I have never had a problem with it freezing. Did you whip the whipping cream long enough? This is ice cream perfection! Oh my yummy goodness! This looks (and sounds) AMAZING!!! YUM! What an excellent choice of mix-ins in this ice cream! THIS LOOKS AMAZING! Sorry to shout but that’s how excited I am about it lol! Caramel AND toffee???? I’m swooning!!! Why is this not in my freezer??? 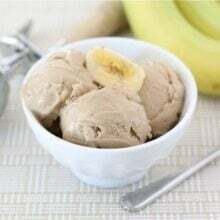 This is a fantastic recipe – I made the Snickerdoodle ice cream, although not many people in the UK know what they are, and everyone loved it! It’s dead easy, especially as I don’t have an ice cream maker (I daren’t buy one!). My variation on this was to stir through a jar of apple cinnamon curd and baked crumble mixture. Next up: passion fruit curd; Horlicks and crushed-up maltesers; toasted brown breadcrumbs and salted caramel sauce… Excuse me, I have to go to the kitchen now and make stuff. Thanks for such amazing recipes – the chocolate sour cream bundt cake is the best chocolate cake in the world and I’ve been asked for the recipe (and my hand in marriage!) several times, so I always send them the link to your website. Keep up the great work. What an amazing idea! Can’t believe I have never seen this. It is a super idea for an easy dessert for a big group like a bunch of kids. How many calories????????? Please answer!!!! pretzel and ice cream! What a great idea. I must certainly make it this weekend! I wish I could be that discplined to make ice cream and keep my fridge stocked enough to have it every night! I have tried twice to make the caramel sauce and the sugar and butter keep burning. Can you substitute store bought caramel sauce? Is it absolutely necessary to use a stand mixer? I have an electric handheld mixer but I want to try this recipe! You can use a handheld mixer! Enjoy! Pingback: 22 смачні аргументи, які переконають вас зробити морозиво вдома - FUNME - тво? Nice! This sounds amazingly good! I must try it soon! What is your recipe for salted caramel sauce? This has all of the most amazing things in it plus it’s no churn?! Count me in!! Can you drizzle some chocolate into the mix? I made this and the no churn snickerdoodle recipes for the 4th of July. They were still kind of soft after 6 hours of freezing, but really yummy! I had some leftovers a few days later, and the ice cream was a great texture. I love this concept and I’m excited to try these recipes with some different mix in’s! Thanks! This recipe sounds over the top delicious. I can’t wait to make. One question – how do the pretzels keep from getting soggy? Thanks for your answer. First time making icecream and was super impressed how well it turned out and it’s soooo good. Will defintely make again. I made this over the weekend. 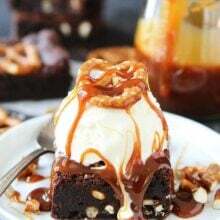 The caramel sauce is delicious and the ice cream has potential if one is willing to experiment with the recipe, but my family found it far too sickly sweet – overwhelmingly so. And the pretzels went completely soft, which while not dreadful, didn’t do much for the recipe. At some point I might try making it again and reducing the sweetened condensed milk to 1/3 of what is called for here, and I would suggest chopped pecans instead of pretzels. We never did put chopped chocolate bars in … I have a sweet tooth and love sweet things, but that felt like too much sugar and I think would send the calorie count in a single scoop into the stratosphere. It’s a recipe that has potential but I would want to adapt it beyond recognition for my own tastebuds … and health! My family don’t like salted caramel, so I removed the pretzels and they loved it! I also replaced the caramel sauce with a tin of nestle’s caramel which made it really rich.